For a long time, cider has been the traditional drink of New England. Right here in Franklin County, we are lucky to be surrounded by wonderful orchards and cideries, who make this delicious fall drink. 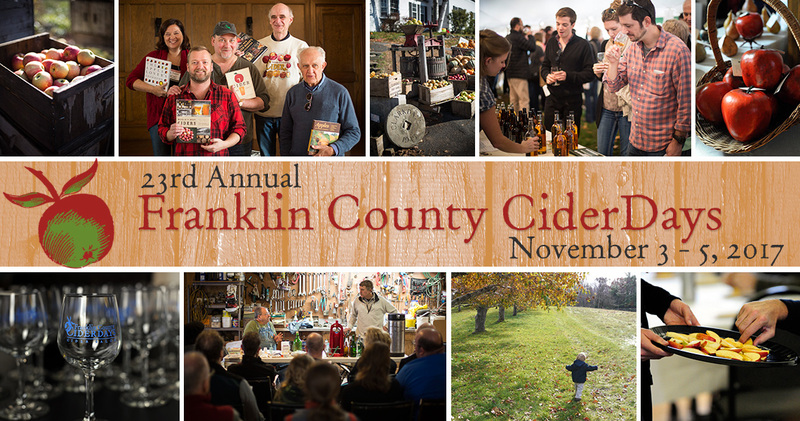 For 24 years, Franklin County has celebrated cider with their Annual CiderDays. 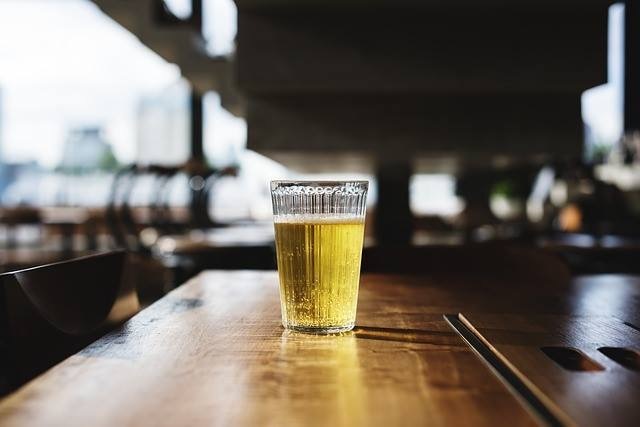 This 3-day event, always occurring on the first full weekend in November, brings together cider lovers across the county. This year, CiderDays is happening November 2-4 and includes 19 participating venues. The Shelburne Buckland Community Center will hold talks, tastings, and workshops Saturday and Sunday for beginner through advanced cider lovers. The events at the Community Center will be FREE! Check out the world’s longest-running hard cider tasting at the Cider Salon in Unity Park, Turners Falls. There will be two sessions on Saturday (3:30-5 and 5:45-7:15) where you can try 120 different ciders from across North America and Europe. Make sure you purchase your tickets for the salon soon because this event sells out. Bring the whole family to the Cider and Apple Festival, hosted by New Salem Preserves and Orchards on Saturday and Sunday. 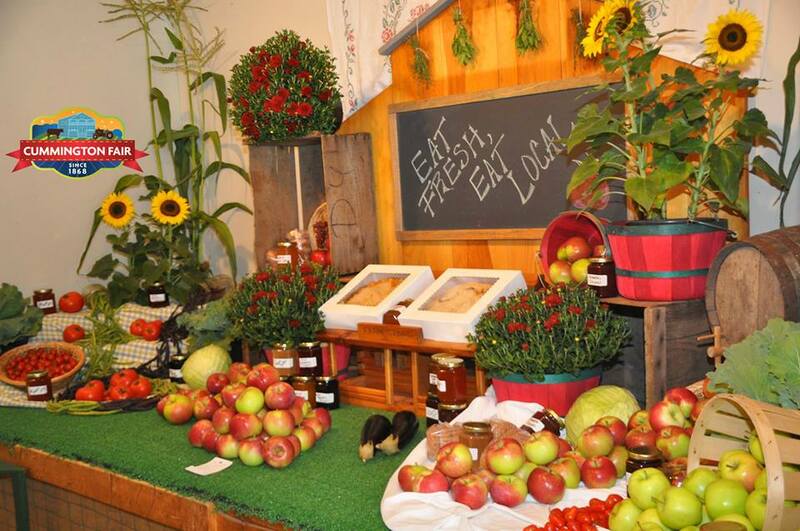 Attend free workshops, child-friendly apple pressing, and browse local artisan exhibits and farm products. For the full schedule of events and to purchase tickets for specific events, visit ciderdays.org. Fall Festivals in Franklin County! It’s October! That means pumpkins, cider, foliage, and Fall Festivals! Next weekend, October 6 and 7, Ashfield’s main street will be filled with people for the Ashfield Fall Festival. Admission is free to this annual event, which started in 1970. Celebrate Ashfield and browse over 50 arts and crafts exhibitors, book sales, and tag sales. Enjoy locally-grown and prepared foods, live music, and dancing. There will also be plenty of kids’ events, including the annual Pumpkingames! For more information, visit www.ashfieldfallfestival.org. 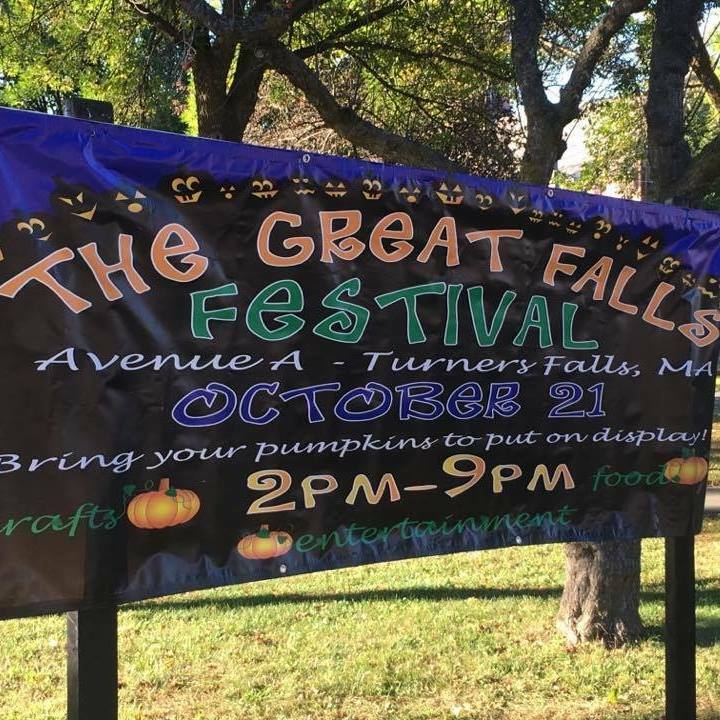 Another great fall festival that you won’t want to miss is the Great Falls Festival aka Pumpkinfest in Turners Falls on October 20th. 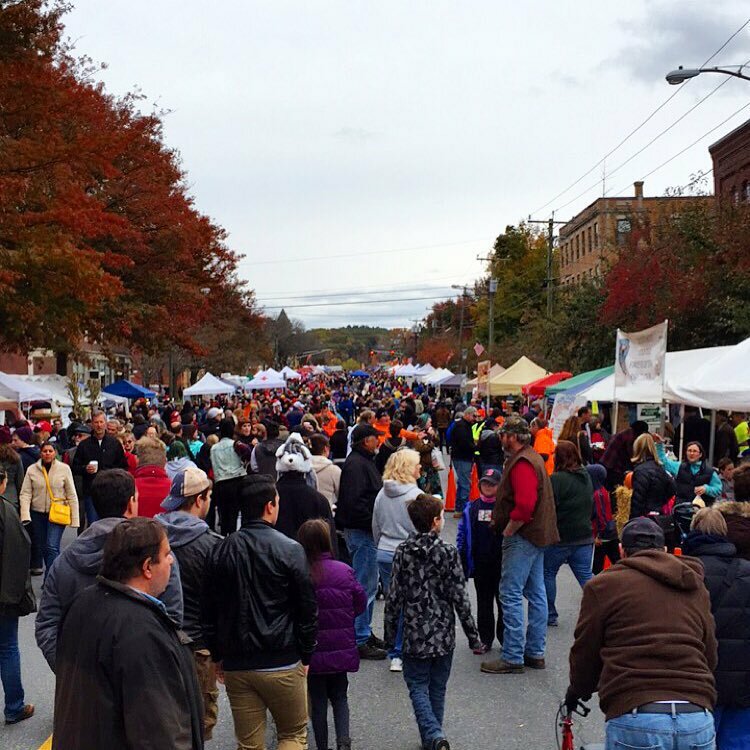 From 2 to 9 pm, Avenue A in Turners Falls will be filled with over 150 food and craft vendors, 3 live music stages, 2 performance stages, a beer garden and of course, a pumpkin display! 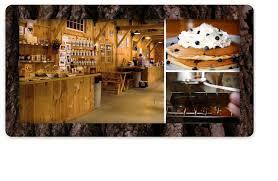 Bring your own pumpkin to add to the beautiful pumpkin display or carve one there for free. There will also be free kids activities. For more information check out their Facebook page. It's That Time of Year for Festivals and Fairs! As summer winds down, fairs and festivals are popping up all over Western Mass. Last weekend, hundreds came out for the 101st Heath Fair. This coming weekend marks the 150th Cummington Fair in Cummington, MA. The Fair was started in 1868 but was initiated in 1883 as the Hillside Agricultural Society. Today, the Cummington Fair remains true to its agricultural roots with events based around livestock and tractors, such as the livestock shows, horse draws, and antique engine and tractor shows. But that’s not the only reason to go to the Cummington Fair. This year’s 4-day event will include a bike stunt show, fireworks, a craft barn, demolition derby and more. The stages will fill with live entertainers such as Zoe Darrow, Presley and Taylor, Jose Duddy, and others. Plus, there will be all sorts of vendors selling food, crafts, and other items. The Cummington Fair starts Thursday, August 23 and runs through Sunday, August 26. Purchase tickets online and get more information at cummingtonfair.com. Colrain Artists Open Their Doors This Weekend! Colrain, Massachusetts is a beautiful town in northern Franklin County, just below the Vermont line. The town draws many artists who seek inspiration from its natural beauty. There are so many artists, in fact that each year they all come together to host Crafts of Colrain Open Studio Tour. Grab a map and a friend and take a tour around Colrain this Saturday and Sunday, November 11-12. 18 artisans will open their doors to showcase their art and offer live viewings of their processes. Their crafts include woodwork, fiber art, metalwork, painting, pottery, and more. One particular artist whose work I always enjoy is Ruby Rice. 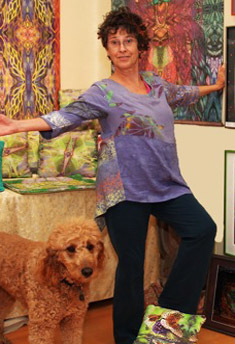 She creates visionary healing arts ranging from pillows to wall hangings to notecards and more. Her sanctuary and gallery has the feel of a chapel and is meant to comfort and make guests feel at home. For more information and to download a free map and schedule, visit www.craftsofcolrain.com. 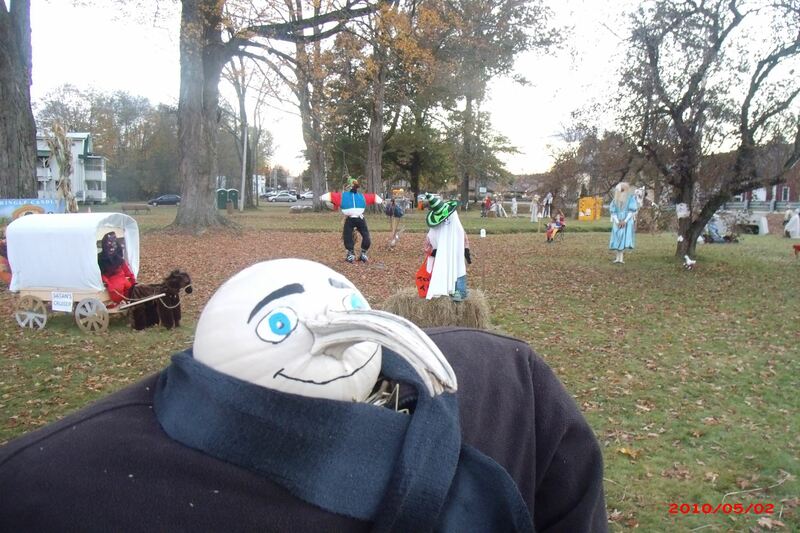 Don't Miss The Great Falls Festival (Pumpkinfest)! On Saturday, October 21, 2017 the Great Falls Festival will fill Avenue A in Turners Falls from 2-9 pm. Formerly known as Pumpkinfest, the event organizers decided to change the name of the event to pay tribute to the village’s pre-colonial era name, the falls on the Connecticut River, and of course, the season. The event is free and open to the public. Attendees are encouraged to bring cash for food and craft vendors who will set up booths along the street, or for tickets for the beer tent. 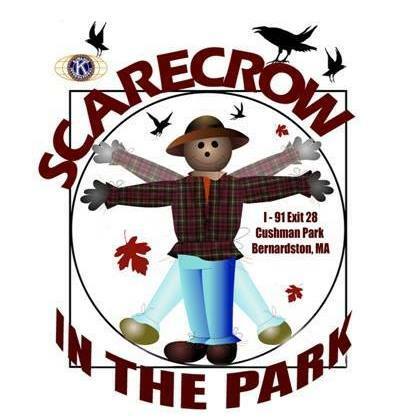 Show your Halloween spirit by wearing your costume and bring your own carved pumpkin to display. You can also decorate your own pumpkin for free from 2 to 6 pm. Remember to bring your dancing shoes! There will be live music all event-long on either of the two music stages. Musical acts include Blue Prints of the Heart, Honey Badger, and Jimmy Just Quit, to name a few. Check out the live performances by the North County Line Dancers, Zumba Dancers, Fire Dancers, and more. Easily avoid the hassle of parking near the event. There will be a free shuttle from Turners Falls High School from 2 to 10 pm. For more information on the Great Falls Festival and a full schedule of events, go to www.facebook.com/greatfallsfestival. This Columbus Weekend, the Pioneer Valley will host two popular festivals. 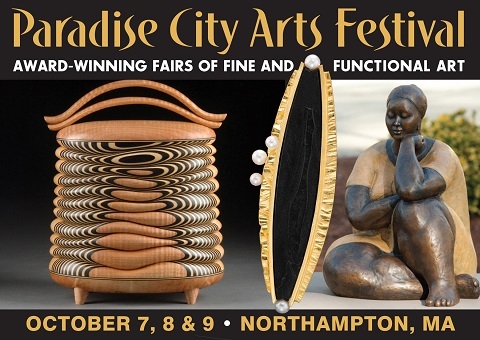 On Saturday, October 7 through Monday, October 9, the Paradise City Arts Festival will take place at the Three County Fairgrounds in Northampton. Meanwhile, only 30 minutes Northwest of Northampton, Ashfield will host its Fall Festival on Saturday, October 7 and Sunday, October 8 up and down Ashfield’s Main Street. Founded by two artists 23 years ago, the Paradise City Arts Festival now fills up three buildings, an outdoor sculpture promenade, and a festival dining tent. Many artists apply to have a booth at the festival, but only some are selected to attend. Their works for sale range from wearable arts to furniture and home décor to fine art and sculpture. Under the dining tent, local food vendors bring flavors from around the world. Enjoy live music while you dine from The Jazz Divas, The O-Tones, and The Blend. Returning this year is the Silent Art Auction to benefit WGBY/57 public television. The Ashfield Fall Festival also features arts and crafts exhibitors, but with more of a hometown feel. More than 50 exhibitors will line the Main Street in Ashfield. You can also pick up some locally grown and prepared foods, enjoy live music and dance, and participate in fall-themed games, like pumpkin bowling! Although the Ashfield Fall Festival has been around for almost 50 years, the purpose of it is still to celebrate Ashfield, showcase local business, fundraise, and provide opportunity for the town’s youth to practice creative, social, and business skills. For more information on the Ashfield Fall Festival go to http://www.ashfieldfallfestival.org/. Whatever you do, enjoy the weekend! Looking for something fun to do for the first weekend of fall? The Old Deerfield Fall Arts and Crafts Festival is taking place this Saturday, September 23 from 10 am to 5 pm and Sunday, September 24 from 10 am to 4 pm. Held on the grounds surrounding Memorial Hall Museum, this festival features crafts of various mediums, including woodworking, jewelry, apparel, glass, and pottery. Over 140 vendors from all over the region will be present, each offering their own handmade creations. Browsing and shopping won’t be the only activities to do there. Live music will fill the air on Saturday with back-to-back performances under the food tent. On Sunday, make puppets with Caravan Puppets and enjoy live puppet shows. Plus, all weekend long at the Children’s Activity Area, take part in free dinosaur-themed crafting activities. The Pocumtuck Valley Memorial Association organizes the Old Deerfield Arts and Crafts Festival and provides the free craft activities. 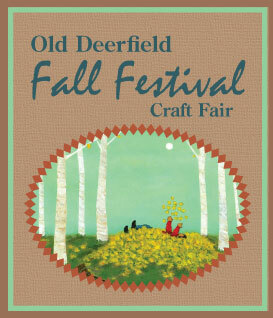 For more information on this wonderful event, visit Deerfield-craft.org. There you will find details on parking and shuttles, vendor listings, and you can even download a printable map. See you there rain or shine! While you enjoy the Ashfield Fall Festival come take a tour of this beautiful antique Colonial home from 12:00 to 2:00 on Saturday. Located at 339 Norton Hill Road, just a short walk from the charming downtown! You will appreciate the quality workmanship, period details, hand planed paneling, crown moldings, custom cabinetry, wide pine floors and built-ins. It is tastefully renovated and in a great location. Come see what Ashfield is all about and enjoy a day at the Ashfield Fall Festival. It has arts and crafts exhibits, fabulous food, live music, dance, children activities, and more! The festival is open both Saturday and Sunday from 10 to 5. Click here for more information.